A clear and well structured set of specific aims is an essential part of a complete grant package. Postdocs may receive training on writing a manuscript or journal article, but are rarely asked to write specific aims until they apply for faculty positions. This workshop will guide participants through the process of refining the first draft of their specific aims based on their preliminary data, previous publications and research interests. Participants will be asked to bring a draft of their specific aims to the workshop. Following a brief overview describing the structure and best practices for writing specific aims, participants will be provided examples of excellent and poorer specific aims for a group discussion. Participants will work in groups to apply the best practices discussed to their own aims. Participation is limited to 30 attendees and a draft of their specific aims must be submitted to here by June 7th. Note: this workshop requires special registration and incurs an additional fee of $5 during registration. Dr. Dai received Ph.D. in Biomedical Engineering from MIT’s HST Program (Harvard-MIT Division of Health Science and Technology). He completed his Post-doctoral training in Vascular Biology at Harvard Medical School (Center for Excellence in Vascular Biology). Current researches in his lab focus on the 3-D bioprinting technology, stem cells and vascular bioengineering, and are funded by major grants from NSF, NIH and American Heart Association. 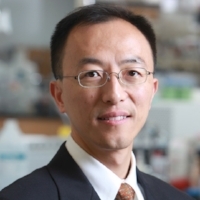 Dr. Dai received the Scientist Development Award from American Heart Association, Faculty Early Career Award from National Science Foundation, Rising Star Award from Biomedical Engineering Society, and Institute’s Faculty Career Award (RPI). Sarah did her PhD at Stanford University with Liz Hadly, studying population fluctuations and developmental variation in wild Ambystoma salamanders through space and time. As a postdoc, she transitioned to the model organism of zebrafish in the lab of Dave Parichy at the University of Washington. She developed a project looking at the developmental and molecular effects of thyroid hormone and other endocrine factors on zebrafish development. As a postdoc, she was awarded an F32 NRSA and a K99 through the NIH. She started her own lab at Boston College in 2017, and her independent work focuses on post-embryonic developmental coordination and the roles of thyroid hormone in development of the craniofacial skeleton in zebrafish.